The New York Times recently published an interactive tool exploring social mobility in United States colleges and universities, and St. Mary’s University again was among the nation’s best. The tool is based on a study by the Equality of Opportunity Project, which formulated “mobility report cards” by analyzing public data on 30 million college students and their parents. It studies their pre- and post-college income to reveal just how well the school they attended prepared them for life after college. St. Mary’s students succeed, the results show. 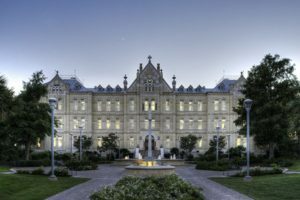 The median family income of a St. Mary’s student is $61,600, among the lowest for selective private colleges. But by age 34, a St. Mary’s alum has a median personal income of $49,700, which ranks No. 102 of 578 selective private schools. The University’s overall mobility index – the likelihood that a St. Mary’s student moves up two or more income quintiles – is 28 percent. That puts St. Mary’s 37th of 578 selective private colleges and No. 176 of 2,137 total schools. Mount St. Mary’s, at 43 percent, has the highest index of the selective private schools. About 5.1 percent of the University’s student body came from a poor family but became a rich adult, according to the New York Times. Thirty-eight percent of students coming from the bottom fifth of incomes as students moved to the top fifth as adults – a figure that ranks 10th of 123 Texas colleges. Study authors Raj Chetty, John N. Friedman, Emmanuel Saez, Nicholas Turner and Danny Yagan focused on students born between 1980 and 1991 and analyzed anonymous tax returns and college attendance records. The percentage of low-income students varies greatly from school to school, with very few low-income students attending Ivy League institutions. Students from low-income families fare as well as students from high-income families (attending the same college), in terms of career earnings. There’s a big difference in mobility rate – the fraction of students who come from a family in the bottom fifth of the income distribution and end up in the top fifth – from school to school. It’s increasingly difficult for students from low-income families to get into high-mobility-rate institutions. The nation’s best college in overall mobility index was Vaughn College of Aeronautics and Technology in Flushing, N.Y., with 57 percent moving up two or more quintiles. Thirty-eight institutions had more students from the top 1 percent of the income scale (more than $630,000) than the bottom 60 percent (less than $65,000). St. Mary’s, a Hispanic-Serving Institution, prides itself on serving a large number of first-generation students and low-income students. Fall 2016 statistics show that 40 percent of the undergraduate population is first-generation, defined as neither parent having completed an associate’s degree or higher. Retention efforts such as the Faculty Academic Mentor (FAM) Program ensure that first-gen students have faculty and peers to encourage and assist them as they navigate college, stay in school and graduate. The University also offers TRiO, Student Support Services, McNair Scholars and Upward Bound programs. A vibrant campus community greatly helps students take advantage of many opportunities. Alumna Cynthia Le Monds is a remarkable St. Mary’s social mobility success story. She grew up in a low-income family of migrant farmhands and began helping her parents work the fields of the Mississippi and Arkansas deltas before her 10th birthday. That experience drove her to pursue an education despite many obstacles. Le Monds completed high school coursework through correspondence while in her first year of college at the University of Arkansas. She moved to San Antonio and earned her bachelor’s in Political Science (’96) and a Master of Public Administration (’08) at St. Mary’s. 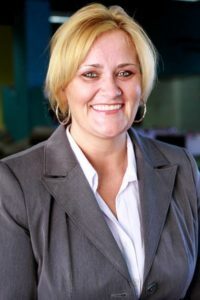 She went on to become the youngest CEO of SA Youth, a dropout prevention and recovery program, in 1999. The program serves about 2,000 teens a year and has grown exponentially under her leadership.